To some consumers, gluten has almost become a bad word. Recent dieting trends have taken the lead with promoting gluten-free food products, and even advertisers are prominently displaying items that don’t include the protein. Part of the reason that gluten-free products have become so popular is because of the increased awareness of Celiac disease -- an autoimmune disorder that causes intestinal inflammation when gluten is consumed; the condition affects approximately 3 million people in the U.S. After observing these symptoms, some medical experts have concluded that gluten can have negative health effects on the general population, including increased risk of obesity and heart disease. But a new study from Columbia University Medical Center and Massachusetts General Hospital/Harvard Medical School shows that these conclusions, particularly those surrounding heart disease risk, are false. In fact, the researchers say that avoiding whole grains as part of a gluten-free diet may increase heart disease risk in people who don’t have Celiac disease. "Gluten is clearly harmful for people with celiac disease. But popular diet books, based on anecdotal and circumstantial evidence, have pushed the notion that a low-gluten diet is healthy for everyone. Our findings show that gluten restriction has no benefit, at least in terms of heart health, for people without celiac disease. In fact, it may cause some harm if they follow a low-gluten diet that is particularly low in whole grains because those grains appear to have a protective effect against heart disease," said lead author Dr. Benjamin Lebwohl. Of course, the researchers admit that those suffering from Celiac disease aren’t the only ones that have to watch their gluten intake. While about 1% of the U.S. population have the disease, many more suffer from a condition called “non-celiac gluten sensitivity,” which triggers some of the same symptoms as Celiac’s disease. However, the researchers say that the vast majority of Americans suffer from neither condition, and they theorized that cutting out gluten from their diets was likely having a negative effect. "Despite the relatively low prevalence of celiac disease and non-celiac gluten sensitivity, surveys suggest that about one-third of Americans are trying to cut down on gluten. This certainly benefits companies that sell gluten-free products. But does it benefit the public? That is the question we wanted to answer," said Lebwohl. The study assessed 65,000 women and 45,000 men who took part in the Nurses Health Study and Health Professionals follow-up study. Participants were asked to fill out a questionnaire every four years from 1986 to 2000 in which they detailed their estimated level of gluten consumption; none of the participants were diagnosed with Celiac disease. The findings showed that there was no association between gluten consumption and increased risk of coronary heart disease, with those who ate the least amount of gluten having the same rate of heart disease as those who ate the most gluten. These results indicate that people may have been contributing to their own heart issues by not eating whole grains, which have been shown to be beneficial to heart health. 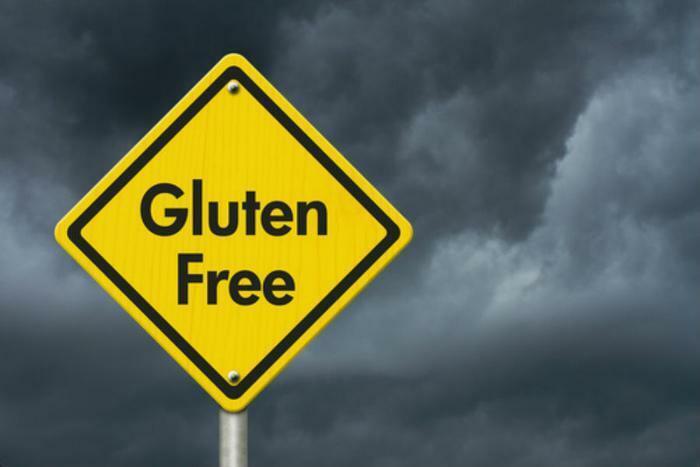 "Based on our data, recommending a low-gluten diet solely for the promotion of hearth health does not appear warranted," concluded Dr. Andrew Chan, a gastroenterologist and Chief of the Clinical and Translational Epidemiology Unit at Massachusetts General Hospital. The full study has been published in the British Medical Journal.